If you have mold in your property call SERVPRO of The Lower Shore. When mold is first visible,do not disturb it. Mold can spread throughout your property and become airborne due to it releasing microscopic spores. Stay away from all affected area until a professional has scoped out your property. Turn off the HVAC system and fans in all areas. Contact SERVPRO to come a re mediate your mold. Do not spray bleach or any other solutions on affected areas before SERVPRO takes a look at your mold. Do not turn air or fans on because it will circulate the spores onto your contents and areas that aren't affected. One of the hardest times in peoples lives can get even harder when you need to figure out how to clean up a crime scene. The questions is, how do you even go about trying to look into who to call and what the process is to get atleast your property back to normal. SERVPRO of The Lower Shore is a remediation company. A lot of people know us for doing water, fire, and mold restoration. We also do bio clean ups. 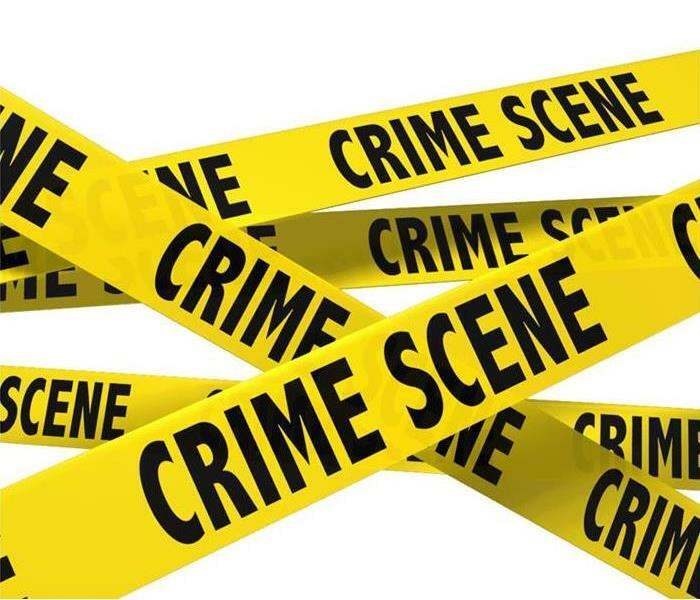 We know it is difficult to pick the phone up and ask for a crime scene cleanup. Our professional office staff are here for you 24/7 to help you with your services. No matter what your disaster is, SERVPRO makes it "Like it never even happened." 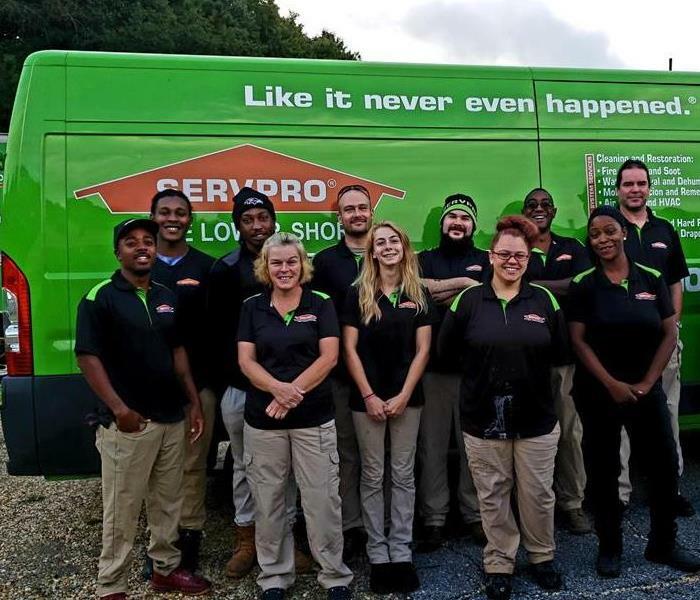 Meet the Crew of our three SERVPRO franchises! Our knowledgeable crew is staffed with Production Managers, Crew Chiefs, and Technicians that are highly trained and has the skills to provided the best SERVPRO job we can provided to any disaster. To get an estimate or to schedule for one of our knowledgeable crews to service you, please call now! The cool, crisp days of fall are officially upon us, and with winter just around the corner, it’s time to put the memories of pool parties, backyard barbecues, and late-night summer soirées in the rearview mirror. But that doesn’t mean we have to swear off spending time outdoors until spring. With just a few adjustments, your alfresco space can get as much foot traffic as the rest of the home during the colder months. Have you had your duct work cleaned this year? Duct cleaning is a simple solution to control the indoor air pollution that is with in your household or commercial business. Cleaning your ducts involves generally cleaning inside of all of your cooling and heating systems vents and returns that exchange the air in and out of the inside of your property. Over the months of dust, pollen or other debris, they begin to pile up and stick to the sides of all the HVAC work throughout your property causing over time, your air to be polluted. Growth on your contents, such as your clothes and furniture. Growth spreading on the outside of your registers. Growth going as far as being spread to any porous material like drywall and partial board. Being knowledgeable about air duct cleaning in the early stages is very important so you can prevent a disaster. SERVPRO of the Lower Shore services Residential and Commercial properties. We are an Emergency Service company that is open 24/7 that's ready to do any remediation or cleaning for your property. We are here to assist you in any needs or questions you may have 24/7. Please call today! Got Mold? Better call SERVPRO today! Mold remediation is one of our primary areas of expertise here at SERVPRO® of The Lower Shore. We have the training and experience to contain the infestation, scrub health-threatening spores out of the air, remove the contaminated materials, and help prevent future microbial growth. Imagine you were cleaning out a storage closet at work, and you found mold growing on the back wall. Most likely this year, an ice damsupplied the water that created an ideal situation for microbes to grow in this closet. Once you identified and resolved the source of the leak, you would still want to contact a professional to mitigate the mold and ensure healthy air for your employees and customers to breathe. When SERVPRO® franchise professionals begin a mold job, our first concern is to contain the mold infestation. The mold you can see is only a small part of the danger posed to building occupants. Mold reproduces by releasing invisible spores into the air. These spores pose the real hazard for those who breathe the air in the infested building. Therefore, we begin by preventing air from the contaminated area traveling to other parts of the building. Each job is unique in its challenges and solutions. However, in most cases, a SERVPRO® mold mitigation team will set up a containment barrier and create a “negative air” situation inside the infested area. A “negative air” situation is essentially a vacuum that ensures air only flows into and not out of the contained area while the air scrubbers filter the spores and other contaminants from the air. Organic materials like drywall, carpeting, and ceiling tiles must be removed and discarded once they become contaminated with mold. This is why we encourage people to contact us immediately after a water loss to dry all the materials before microbial growth begins. Blowing a fan across moldy materials hoping to dry them and save them spreads mold spores in the air and increases the health risk to building occupants. SERVPRO® franchise professionals can never promise to prevent all future mold growth. Mold spores are everywhere in the atmosphere, and they take root and thrive whenever they find the perfect mix of moisture, food (organic materials) and temperature. However, our team does have several products that discourage microbial growth. Once your moldy materials have been removed and the air has been scrubbed to reduce the concentration of spores, we can apply one of these anti-microbial agents to help protect your building’s structural elements. When you see mold, remember you cannot see the biggest threat that mold presents. Contact our Salisbury, MD mold remediation team at 410-749-2221 for a free estimate and good advice about protecting yourself and other building occupants until the mold is removed and the air is clean again. 2/7/2019 - Got Mold? Better call SERVPRO today!